Please note that Luisa is no longer taking in tourists or boarders. If you are looking for an inexpensive place to spend time in Lima, think of contacting my mother-in-law. 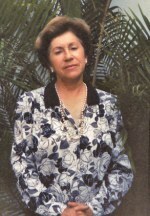 Luisa Chavez runs a small boarding house in Miraflores. I can guarantee that she will treat you like family. This is a perfect place for those who are taking a low-budget trip through Peru and need a place to clean up. Luisa will also accept longer term stays, like students or visiting academics. It has a family setting. If you want to go off to Cusco or other places, you can stash your heavy bags with her. Luisa will even pick you up from the Lima international airport. Location: The Boarding House is located in Urbanización Aurora, an upper middle class neighborhood in the southern Lima suburb of Miraflores. It is less than a block away from public transport (buses) and taxis are readily available. 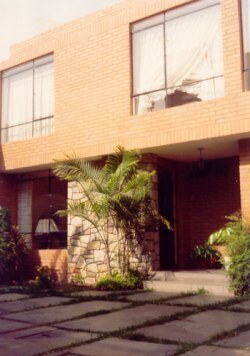 It's within walking distance (15 minutes) of Miraflores's commercial district. A shopping mall is within two blocks. There is an enclosed residential park behind the house. The location also guarantees you a good water supply and steady electricity. Ms. Luisa Chavez is no longer taking in boarders or tourists. For 14 years, Luisa and I lived next door to each other in a kind of duplex, two mirror-image houses built next two each other. The house is cozy and quiet. Nice big windows so there is plenty of natural light. Check out the rest of my site for more information about Peru, its history, culture and reality.